Welcome to Oslo and to Nor-shipping 2013! It is an exciting Nor-shipping for us this year! After an extremely intense period of product development over the last year, and a phased introduction of a new product range, we can at last start to breathe a sigh of relief and to fully showcase the new Series X range. As with previous years we don't have our own stand at the Nor-Shipping exhibition, instead our showroom event will give you the opportunity to see our new and existing products in much more detail. It will also give us the opportunity to speak with you about your requirements, and to provide you with some good Norwegian hospitality afterwards! 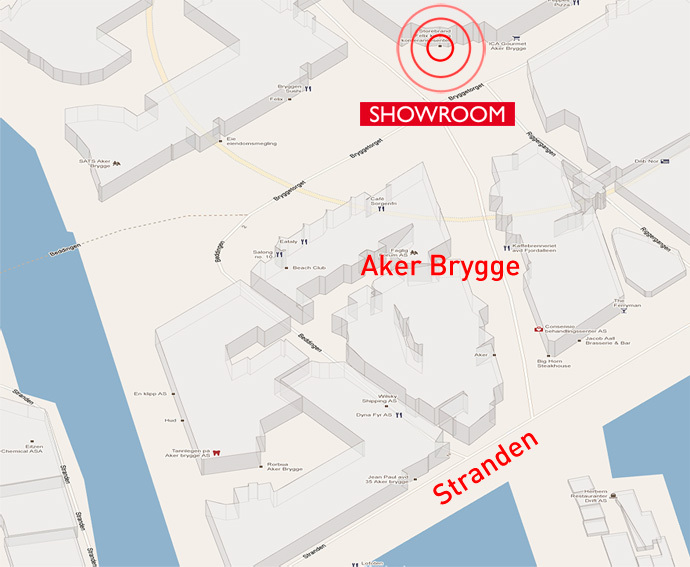 Our showroom is in room "Titania" at the Felix Conference Centre in Oslo's Aker Brygge harbor district on 4th - 6th June. We hope that you enjoy Nor-Shipping and that you are able to visit the Hatteland Display showroom in down-town Oslo on one of the dates above. It will make for a good break from the hustle and bustle of the show floor, and we're sure you won't be disappointed with what we have to show you! Hatteland Display dedicated showroom at the Felix Conference Centre at Aker Brygge. Download, 64 pages A4 format. Download, 64 pages US format.